Continuing with last meals, I wanted to share a link that my friend Pamela Skjolsvik, a.k.a. The Death Writer, sent me. Check it out HERE. Brian Price is a former Texas inmate who learned to cook during his incarceration. 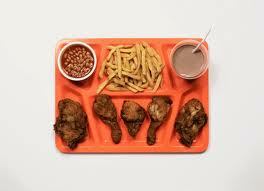 He earned the job of providing the last meal for the condemned inmates of Texas. Last year, Texas discontinued this practice for the nearly executed. Price offered to continue the meals at his own expense. The state declined. Price’s story will be featured on “Death Row: The Final 24 Hours” airing Monday, April 30, at 10 p.m. ET on the Discovery Channel. Categories: Prison Today | Tags: Brian Price, condemned inmates, death penalty, death row, executions, Last meals | Permalink.